Do yourself a favor and go see Yuna live. 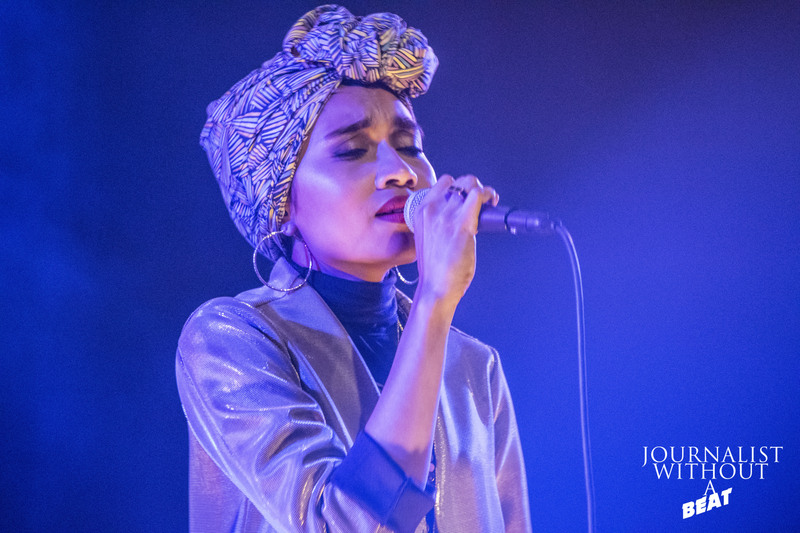 Lincoln Hall was sold-out on Friday, May 6th for good reason – Yuna‘s Chapters Tour was in Chicago. Opening the show was Atlanta native, BOSCO, accompanied by DJ Ella Hussle. 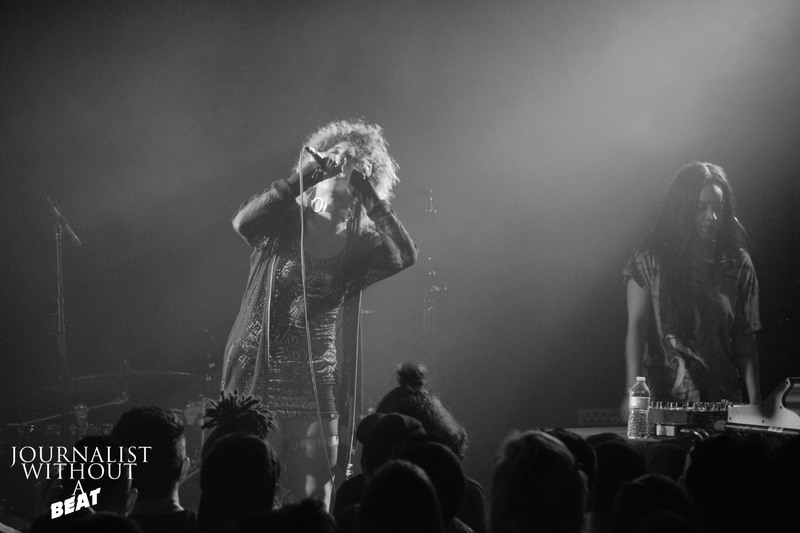 Bosco kicked off her energetic set with a slow groove track, but immediately turned Lincoln Hall into a dance hall. Performing tracks from her recently released project with Speakerfoxxx, titled Girls In The Yard, Bosco brought the party to Chicago. At one point, Bosco had a megaphone spitting out lyrics, which was very unique. Keeping the vibe right, Bosco even covered Crystal Water’s hit, Gypsy Woman (She’s Homeless) while inviting 3 fans up on stage to dance in the process. Bosco closed with Hot Boyz/Tweet a cover that combines both Missy Elliot’s Hot Boyz and Tweet’s Oops (Oh My). Bosco definitely brings the energy and the party when she performs. As a mix of Jazz and Maxwell songs echoed throughout the hall, space began to fill up on the main floor with die-hard Yuna fans. The wait was not long as the Malaysian singer-songwriter appeared in front of the Chicago crowd. All smiles from the audience were directed towards Yuna, and Yuna did the same. Yuna kicked things off with an original rendition of Beyoncé’s Sorry. After each song, Yuna would talk and joke with the audience, sometimes even teasing the crowd with “this will be my last song of the evening… Just kidding.” The atmosphere at a Yuna show is a very peaceful and laid back. Yuna has this organic aura that just takes over the audience. Yuna would perform songs from her first two albums and also some new material from her upcoming third album, Chapters. All I Do and Lanes, were the new tracks performed live in Chicago for the first time. Each song would have great visual representation projected on the screen above. Yuna would state that the show was sold out and her tour experience is now complete. With that, Yuna spoke from the heart and announced that she will sing a song acapella style that she dedicated to the live audience titled Written in the Stars. The song was sung in the Malay language. During the song, the entire Lincoln Hall stood in awe and silence. Chicago showed it’s appreciation with a huge ovation. This was of the most respectful and chilliest crowds I have ever been a part of. After each song, the crowd would erupt in claps and cheers for Yuna, then immediately become quiet. Yuna even joked in saying “you all are so well-behaved and quiet, just like me”. She encouraged the crowd “to be themselves” and enjoy the night. “This will be the last song of the night… or is it?” Yuna jokily said to the Chicago crowd. Yuna closed her set with a powerful performance of her recent single Crush. After the song, she thanked everyone and exited the stage. It didn’t take long for Chicago to begin chanting “Yuna!” Yuna and band would reappear on stage for an encore that included a performance of Live your Life. Yuna took a bow and thanked Chicago for an amazing night. Yuna is truly an artist who loves sharing her music with everyone; it was proven with this show. She’s an artist who can bring all cultures together in one room to enjoy live music. If you want to experience Yuna live, you can catch her on the Chapters tour in the U.S. now through the rest of May. Chapters is available May 20th.